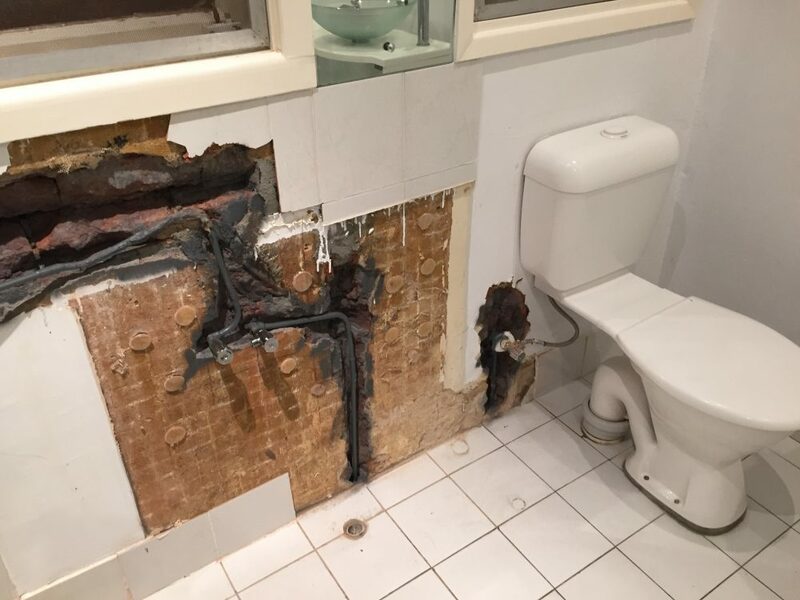 We love nothing more than hearing from our readers and seeing what exciting projects you get up to so when Kerry recently shared her family bathroom renovation with us, we were eager to share the bathroom before and after with you! 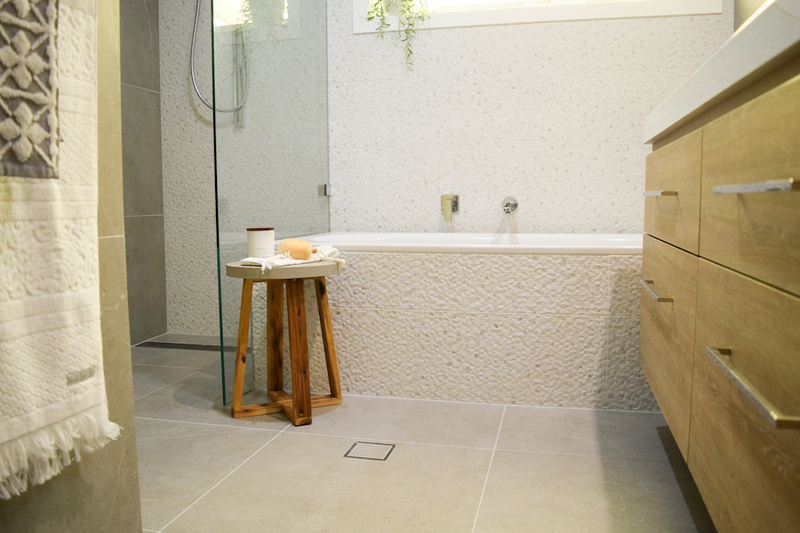 Bathroom renovations can be so difficult — there are literally a million decisions you need to make and each of these is a balancing act between doing something you love, that hopefully won’t date any time soon, and that will also all work well together. No easy task! 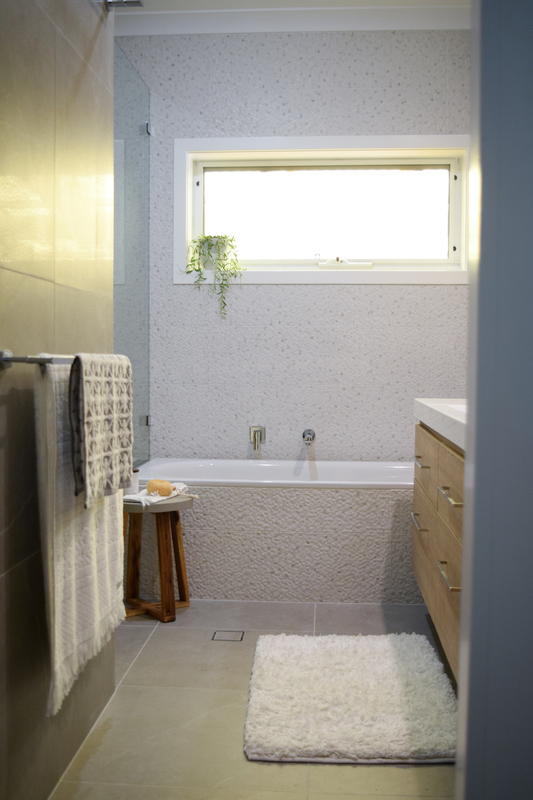 With two bathroom renovations under her belt, Kerry says she had a strong idea of what she wanted to achieve in this space of her forever home — a functional and timeless family bathroom that’s loaded with practical storage and good lighting. 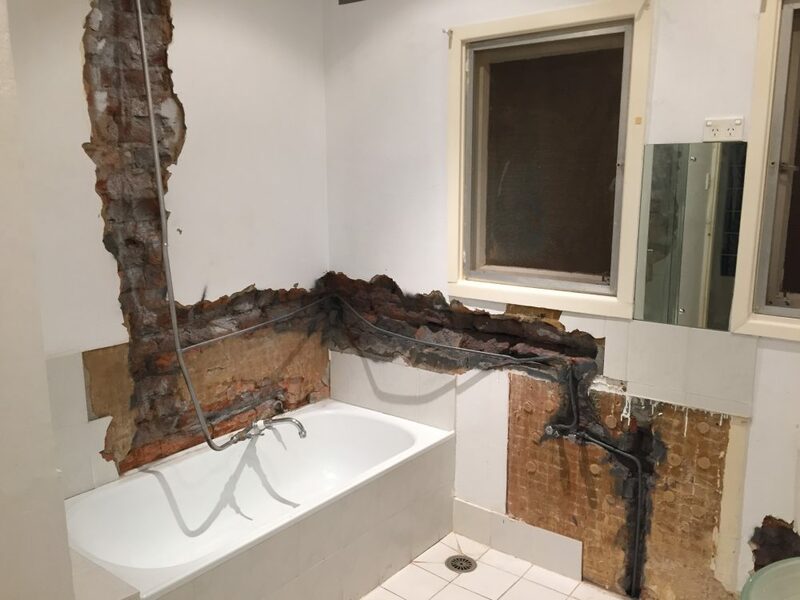 The bathroom before was simple and non-offensive on the surface but beneath the walls laid plumbing issues that needed immediate attention and this brought forward their bathroom renovation plans. Her years of watching and learning from Shaynna Blaze certainly paid off! 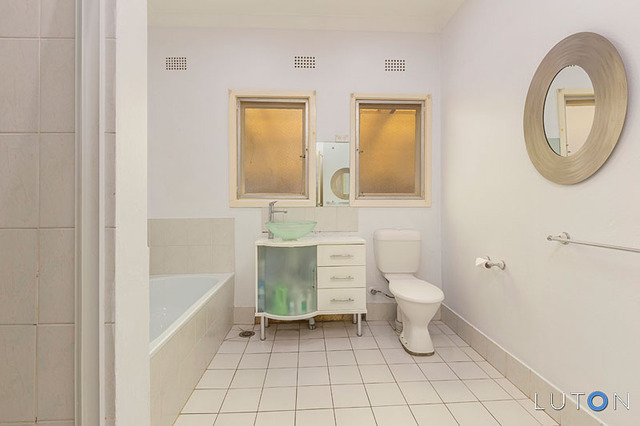 Kerry couldn’t have squeezed more storage into this bathroom if she tried. 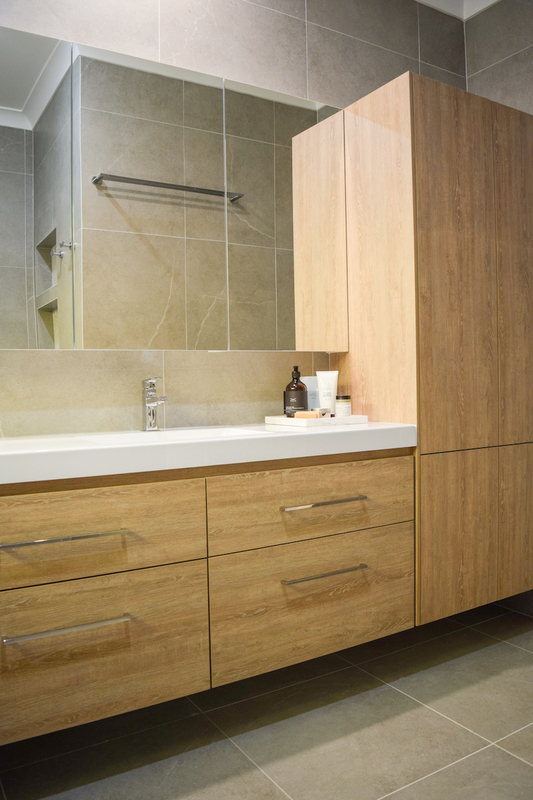 The generous vanity with four deep pull out drawers (made from rustic oak veneer) matches the custom double towel cupboard they designed with their carpenter. 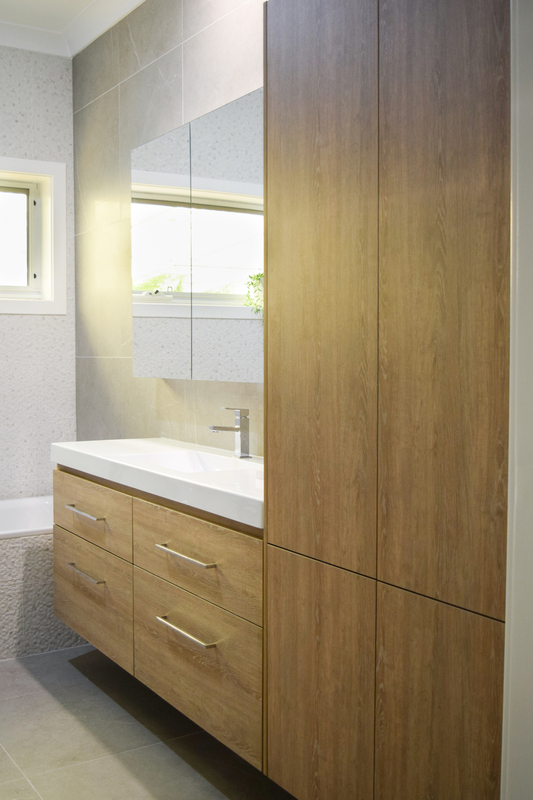 The three mirrored shaving cabinets conceal modern conveniences of two double power points and the hot water control unit. On the wall behind are two double towel rails — essential in a family bathroom. 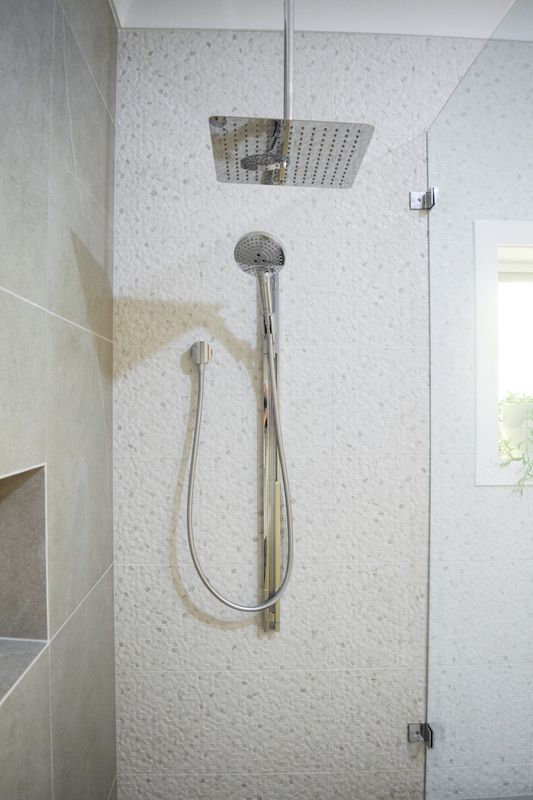 And in the oversized shower are three large wall niches. Kerry says the two niches as you enter the shower are for her children to store their own products in each, and the one in the shower is where the person who is showering can put their products (so outside of shower time it would be free of clutter). Kerry says the bathroom flow really works for the family. 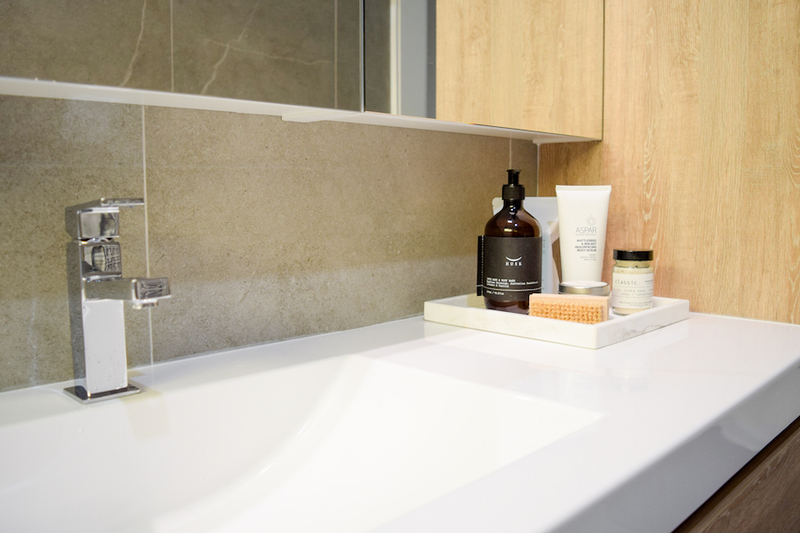 Investing in expanding the space for the loo into a generously sized powder room with a hand basin will serve the family well as it grows and guests are over. 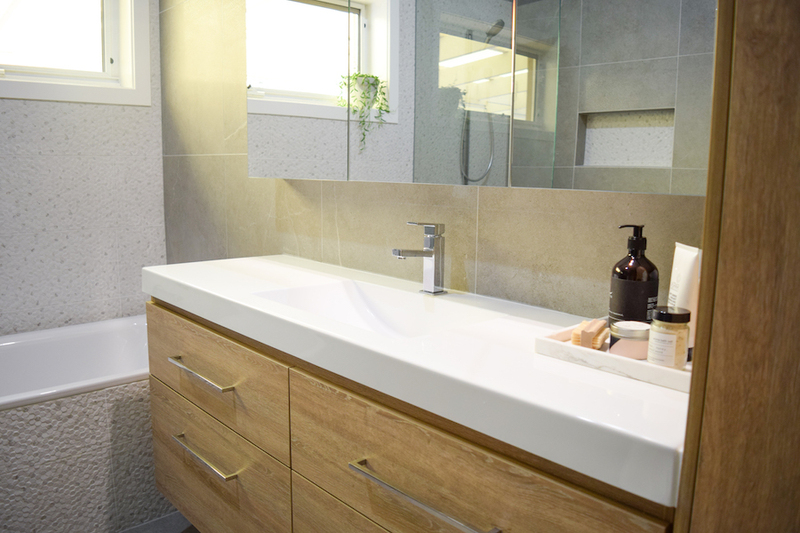 “Do it once and do it right!” was Kerry’s motto so they didn’t just renovate the space to resolve the plumbing issues — they completely reconfigured it by turning the bathroom and two adjoining linen cupboards into this larger and more functional bathroom with separate powder room. “It wasn’t an easy space to gut. The double brick walls were knocked down, with three spaces becoming two, three narrow hallway doors reduced to two wider openings. Along with two small windows replaced with a large one. 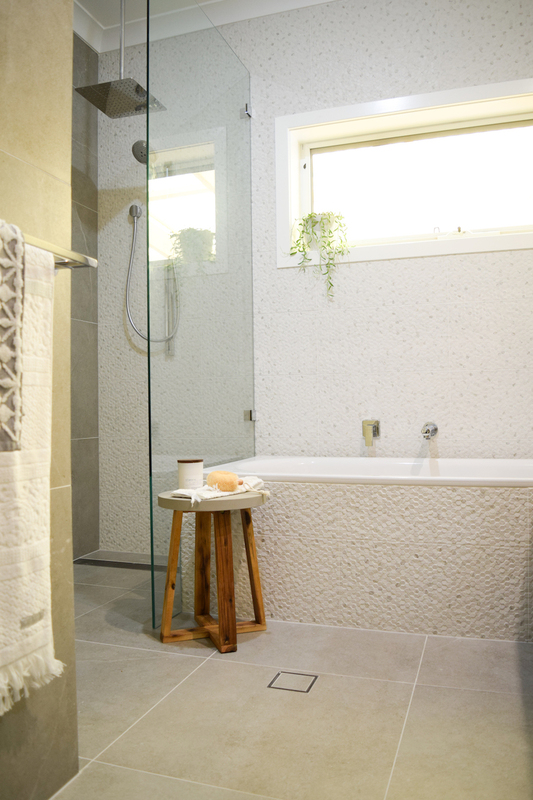 This renovation required significant engineering and structural work along with DA approval. 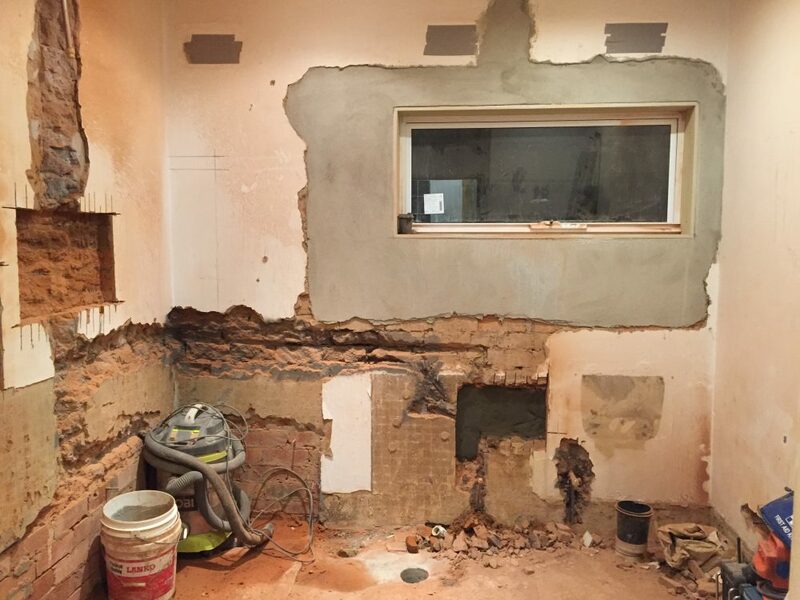 In addition, all of the electrics and plumbing were relocated, including new core holes in the sub floor,” Kerry explains. Approximately $50k was spent on the bathroom and powder room but Kerry says there’s very little she would have changed.